Heat Da Spot is my favorite local breakfast spot. A five minute walk from my house, this tiny restaurant is known for its homey atmosphere and slow service. 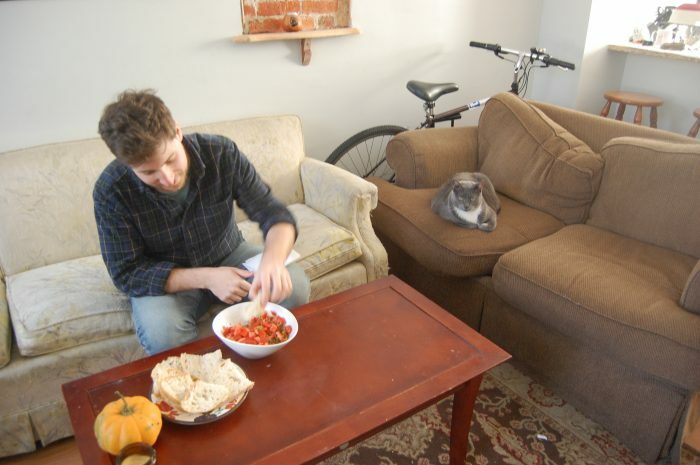 While they have a typical cafe menu, their “Ethiopian-style breakfast” is particularly inspiring. 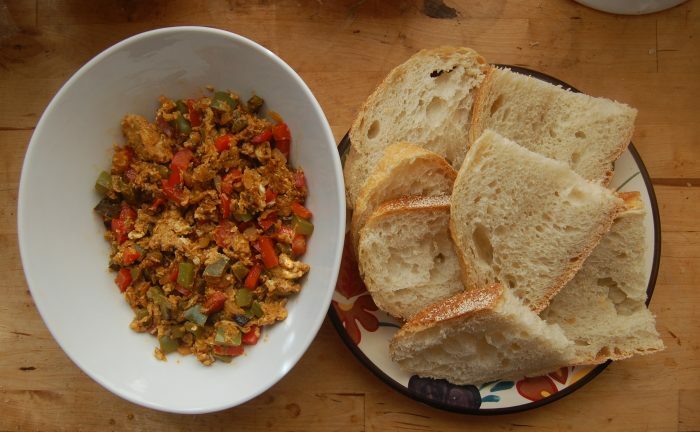 Spicy scrambled eggs, sauteed vegetables, scooped up with bread. Not exactly vegan, but if you’re looking for a change to your breakfast routine and an excuse to eat with your hands, this is the meal for you. Many people do not have Ethiopian spices in their pantry, but since Walter and I attempted to make shiro wat, atkilt wat, and miser wat a few months ago, I do. 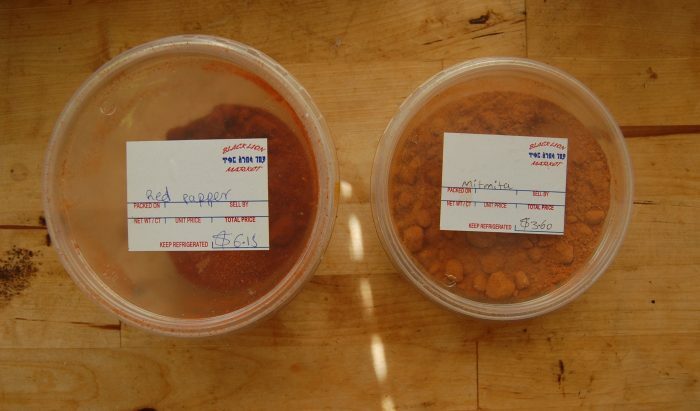 Cayenne pepper could be used a substitute, but it’s worth visiting an Ethiopian market to get the good stuff. If you live in DC, check out the Black Lion Market, right across the street from Pho Viet. 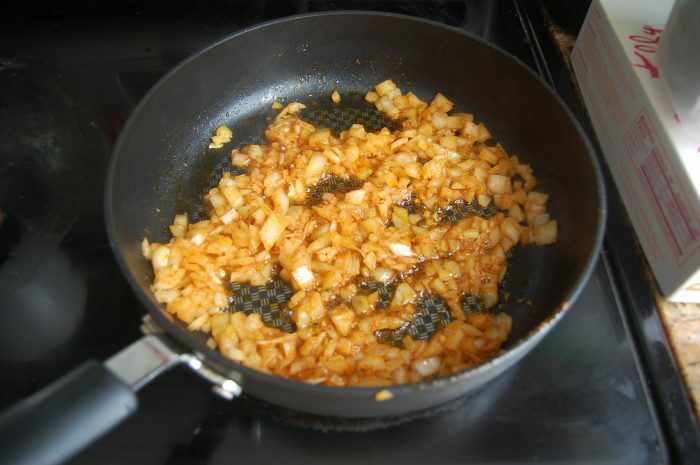 Begin by sauteing the onions, garlic, and ginger in a bit of oil. We also added in some of the spice because we are very eager. 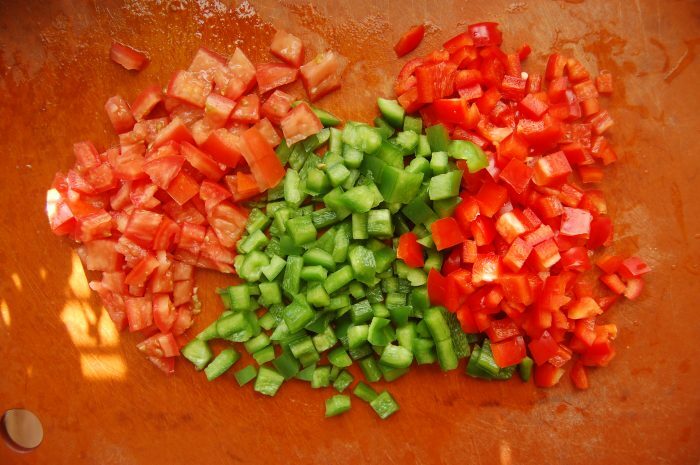 For the vegetables I intended to use green pepper, red pepper, and tomato…but forgot to cook the tomato. We served it fresh on top instead. These are the spices we picked up at Ethiopian market. I had to ask for help, because as you can see, the berbere was labelled red pepper. Asking for help will always bring good things! Like spices. 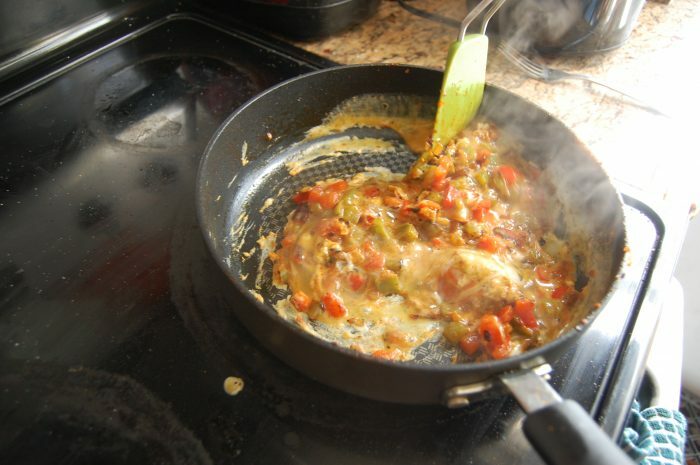 Our main application of the spices came through melting some butter in the microwave and stirring in the spices. 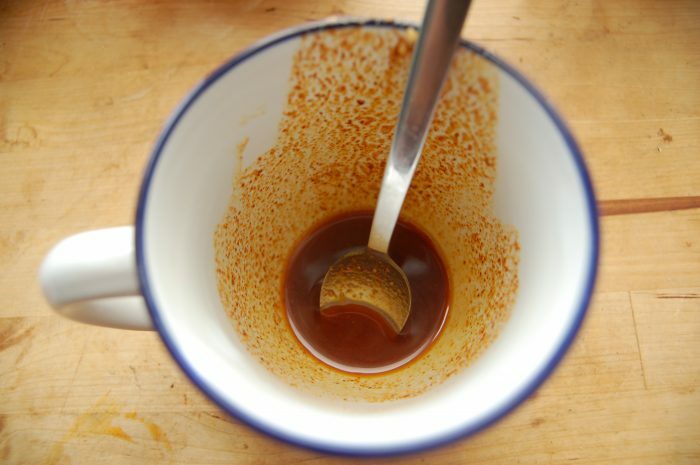 We used about one tablespoon of berbere and one teaspoon of mitmita. Add the peppers and spicy butter to the pan. 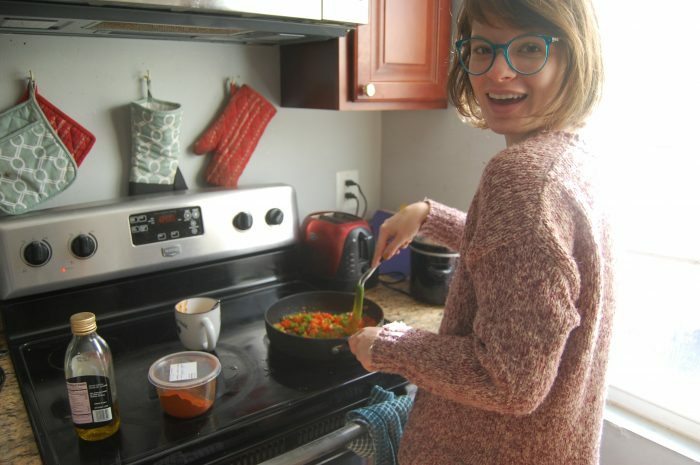 This is how I always look while cooking. 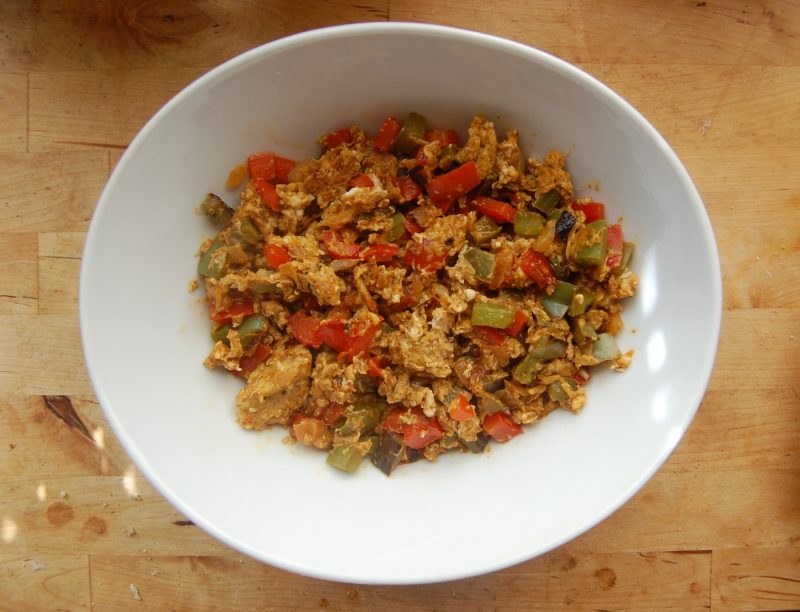 Once the peppers have reached your ideal tenderness, beat the eggs in a separate bowl and then pour them over the veggies. 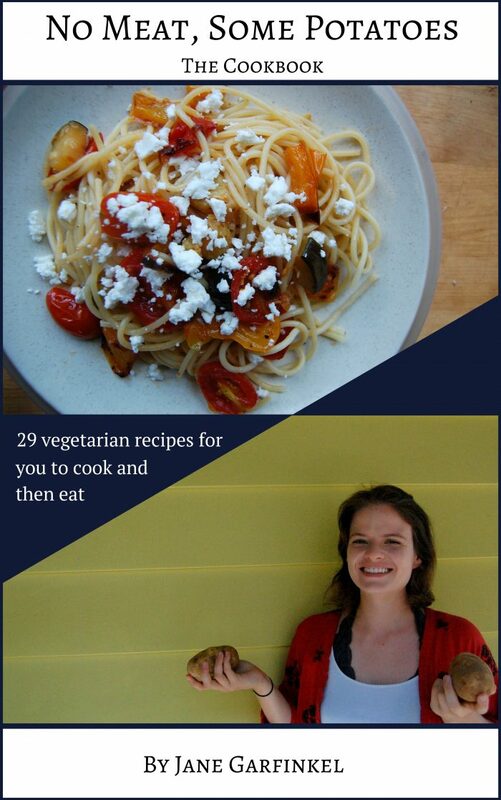 Move them around gently until they are just cooked through. Serve with sourdough bread, perfect for scooping up the eggs and soaking up the spice. 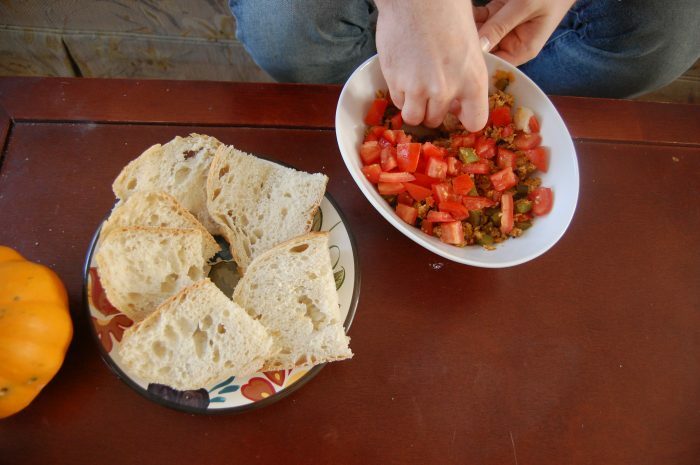 Heat Da Spot served this dish with homemade bread, but we can’t all be them now can we?